We are pleased to announce that NWPL are hosting the Men's All England Powerlifting Championships 2019. This competition SOLD OUT as of Monday 8 April at 9am. We are currently taking names for the reserve list. Please email technical@nwpowerlifting.org.uk and confirm your full name, weight and age class and the QT you have set. Please note that reserve placings will be offered according to any drop outs. There will be no preferential treatment. This competition has been capped at 125 to ensure a safe and comfortable experience for our lifters and also for our volunteers. We thank you for your understanding. All lifters will receive a bespoke medal of participation. 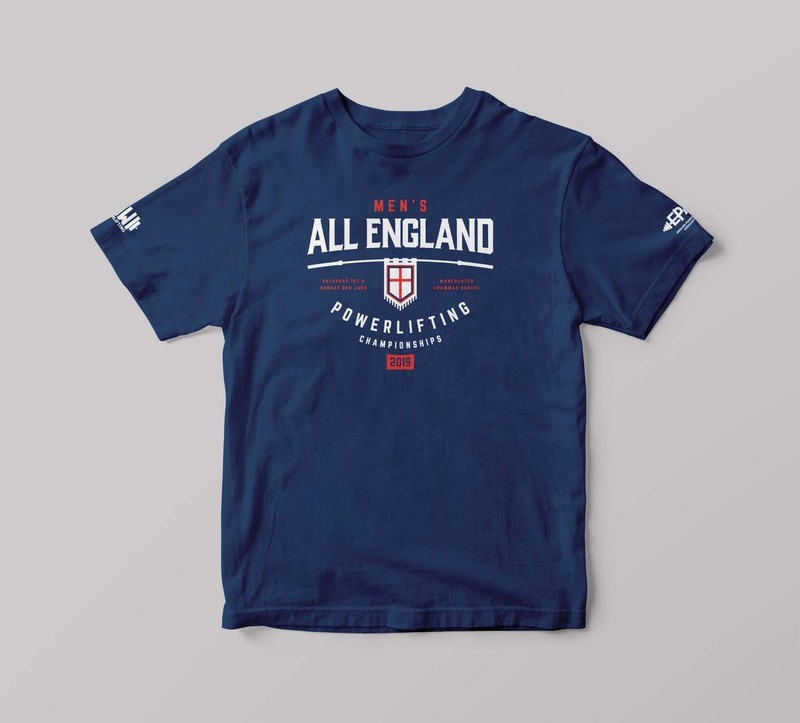 Exclusive 2019 All England Powerlifting Championships t-shirt and hoodies are available to pre-order at a discounted rate by lifters for collection on the day.